There's no question a battle is going on for the soul of our nation, says Stephen E. Strang, a best-selling author who has released his newest book, Trump Aftershock. Believers can see it in the news, he adds, but also in the culture—sometimes even in our own families. "Pundits would say the clash is between globalism and nationalism or between capitalism and socialism," Strang said. "As a Christian, I know this struggle is not just left versus right or Democrats versus Republicans. I believe it's between light and darkness, between good and evil. There's a spiritual nature to this conflict—spiritual warfare. "What's really going on is unseen and unknown to most in our country—even to some believers whose spiritual eyes are not open or who choose to ignore this spiritual warfare," he added. "Yet, God is calling those who are spiritual to do battle for our nation. God is raising up voices to help us know what is happening. America stands again at a precipice. God is leading us to make better choices, just as He did with Israel. Moses and his people continued to wander in their comfortable, desolate wilderness and missed God's direction." Get involved. Speak up to friends and family. Complain when media or others espouse principles that violate Judeo-Christian beliefs. Get your pastor to mobilize your church to be involved. Join other interceptors. Vote and become a Christian values activist. Remember that James said, "Faith without works is dead" (James 2:20b). Support godly candidates when you can. Support officials who respect our values and oppose those who don't. Last but not least, pray. Unbelievers can't. Nominal and liberal Christians won't. Prayer is left to those empowered by the Spirit of God, whose eyes have been opened to spiritual darkness, to stand in the gap for this nation. "Revivals happened in earlier times," Strang said. "Can it happen again? This should be our prayer for America and the world. That would be the ultimate spiritual aftershock." Stephen E. Strang is the best-selling author of God and Donald Trump. 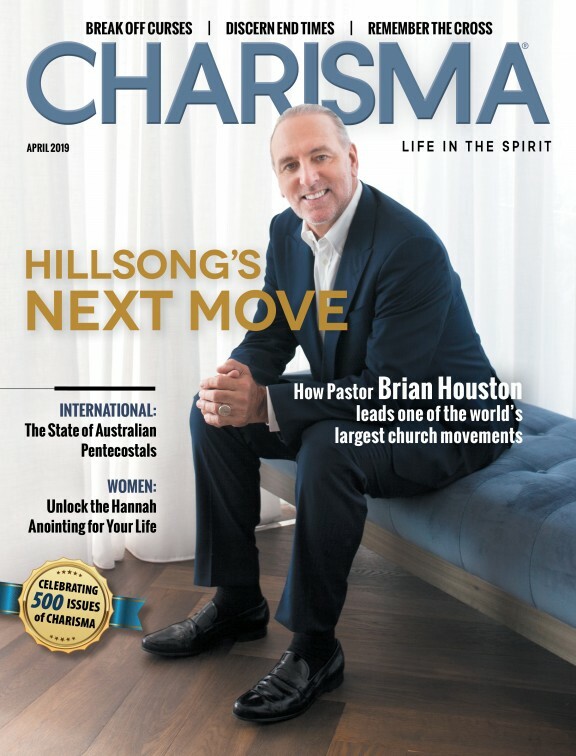 The CEO and founder of Charisma Media, Strang was voted by Time magazine as one of the most influential evangelicals in America. He has traveled to more than 50 countries, has interviewed four U.S. presidents and has been featured on Fox News, CNN, MSNBC, CBN, Dr. James Dobson's "Family Talk" and The Daily Caller.